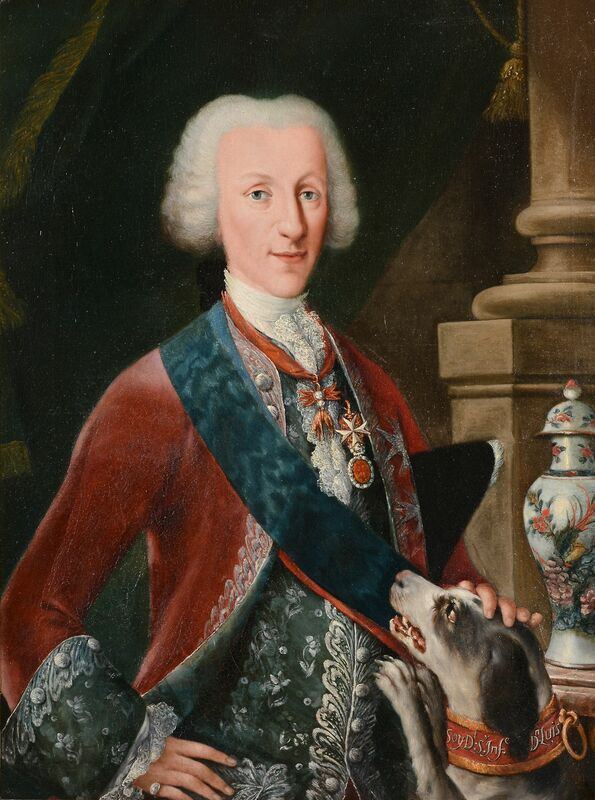 In 1735 when only eight years of age, Luis, the youngest son of Philip V (1683-1746), King of Spain, and his second wife, Elizabeth Farnese, was created the 699th Knight of the Order of the Golden Fleece, and ordained Archbishop of Toldeo and Primate of Spain; he was subsequently named Cardinal Deacon of the church of Santa Maria della Scala in Rome of the same year. In 1754 Luis abononded ecclesiastical life and renounced his titles, assuming the title of 13th Conde de Chinchón granted by his brother Infante Felipe. I am writing to enquire about "Portrait of Don Luis de Borbón, Infante of Spain (1727-1785)"